Campion Academy Takes Wildfire Team to Grand Junction » Students involved in Wildfire and handbells led out in the service at the Grand Junction Church last Sabbath, sharing testimonies along with Pastor Esequias, and providing the song service. Music teacher Yves Clouzet conducted handbells as they performed during special music, postlude, and prelude. Welcoming and accommodating, members of the Grand Junction Church made sure the students were fed and had a place to sleep. “The people were so welcoming to us. They all had smiles on their faces when we performed for them. It was such a blessing,” said Ireland Anthony, member of the Handbells ensemble. Most students slept in the church, but some stayed with families who have students at Campion. The Wildfire team will be visiting Grand Junction again during the summer along with more SWAT Trips in the future. 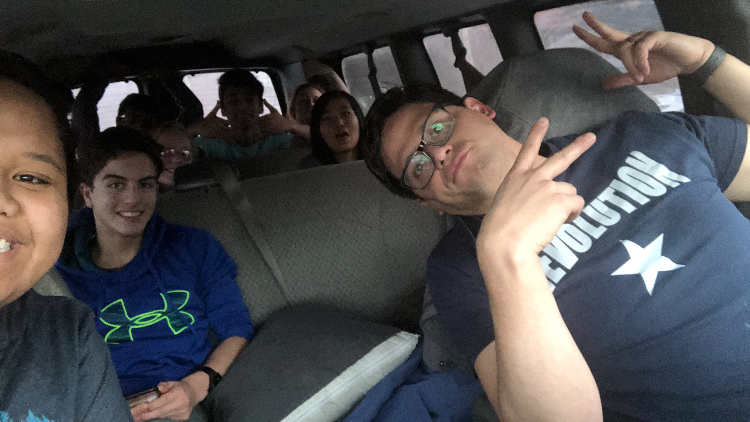 “It was definitely a bonding experience between everyone involved in both Wildfire and Handbells,” shared Erick Maldonado of the Wildfire Team. MHA Alumni Shine at Union College » When Mile High Academy alumni go out into the world, we often wonder where they go on to college, where they end up working. Sometimes they come back to visit us for special occasions and we treasure those moments. Sometimes our paths cross and we are pleasantly surprised to find ourselves staring into a familiar face. 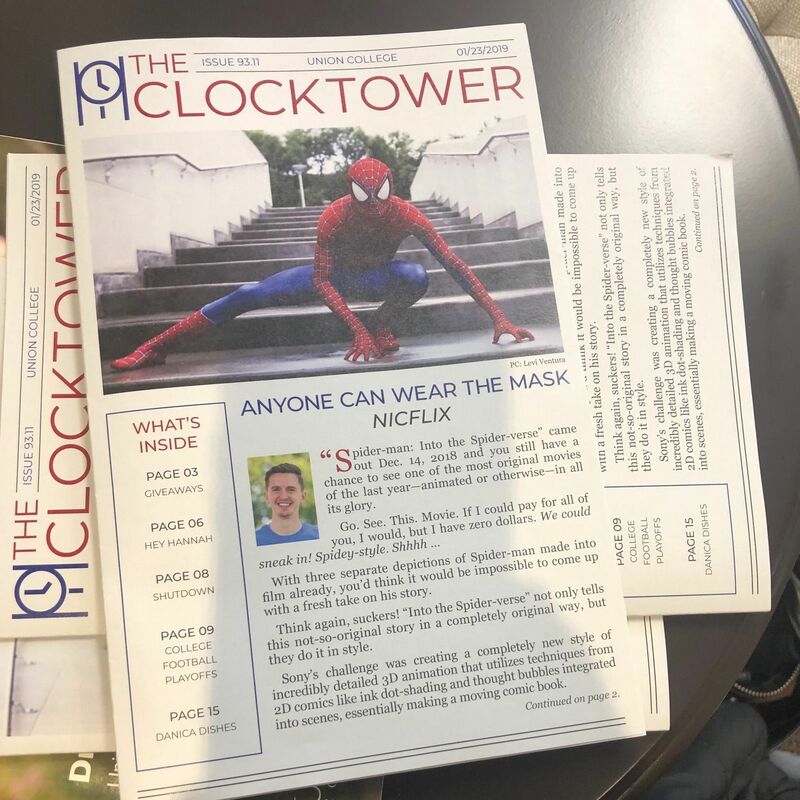 Recently, MHA principal visited Union College for meetings when she happened to be reading their publication, “The Clock Tower”. It was a joy to see some of her own alumni looking back from the pages she said. It’s one thing to hear about all the great things that are going on in the lives of MHA students, but to see it right there in black and white is proof that MHA students are making a difference right now. 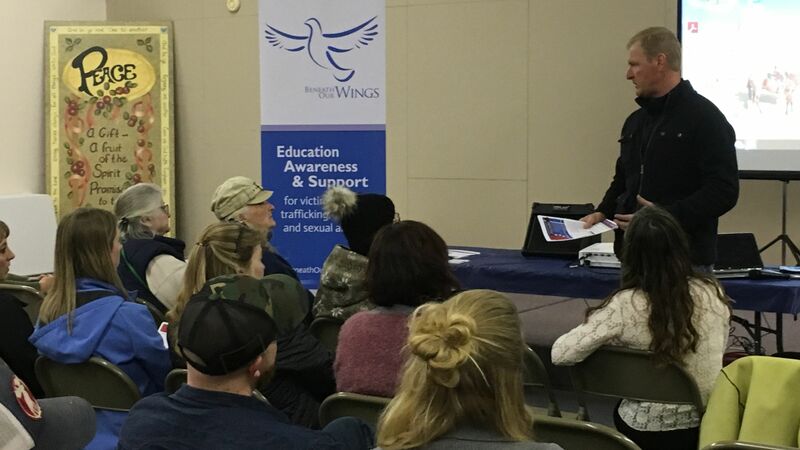 Fettig opened the seminar by sharing the mission of Beneath Our Wings, emphasizing how vitally important it is to protect our children. Many think human trafficking does not happen in Wyoming. Wyoming State Highway Patrol Trooper Randall Davis and Juliet Fish from the Department of Criminal Investigations also shared the legal perspective of enforcement and listed warning signs to watch for and the importance of making a call when anything suspicious is seen. Alaina Doely from Powell Crisis Intervention Services shared resources her organization has available for victims in the area. This seminar will also be held at the Worland Community Center in Worland on January 28, and again at the Little Theater at CWC in Riverton on February 11. Another seminar in Cody will be scheduled soon. Forget Sara Lee; Nobody didn't like Joe Dohle. I write this post with a heavy heart. Most of you never knew Joe Dohle, but you would be hardpressed to find a more decent, honest, caring man. I saw Joe last Saturday, and he was the picture of health, yet last night he had a massive heart attack, and he passed this morning at 11:30 am. Though I do not have all the details, I have reason to believe he may have had some warning signs which he chose to ignore as being no big deal. I’ll refrain from the stereotypical thought that this tends to be common among the male of our species, but please let Joe’s situation, even more, his widow’s situation, be a wake-up call not to ignore signs that all may not be right with you physically, mentally, emotionally or spiritually. So, in honor of Joe’s memory let me share with you another of his attributes which if practiced, will help you avoid and prevent a lot of needless conflict in your life. The attribute to which I refer is humility. Think back to a time when you got offended, and as they say got “all bent out of shape” over something that was not all that important. Perhaps you were tired or stressed or hungry, and you took offense to something that someone said or did. As you look back on the situation now, you likely wish you had handled it differently. I know I can think of a few times when that was true for me. That’s where humility comes in handy. Please don’t overstate what I mean by humility. I do not at all mean you should be a doormat and let people walk all over you. That to me is not a productive and healthy way to live. But neither is getting upset over minor slights – perceived or real. Through my 30+ year career as a mediator and relationship coach, I’ve witnessed the demise of numerous relationships because someone got upset, sought retaliation, and created a situation which did not need to exist. A common, though erroneous statement you often hear is “you make me so mad!” Really? Do others have more control over your emotions than you do? Can I, or anyone else, really dictate your emotions? Of course, we can, and do influence each other, but aren’t you the one responsible for how you feel about or react to any situation? I observed a situation just recently where one person said something about another that was inappropriate. It was not a dreadful, terrible assault of any kind, but he simply should not have said what he did. Within minutes of making his comment, he stood in front of every one present and made a very heartfelt and sincere apology. I’m happy to report that the “offended” party was also gracious enough to accept the apology, and the matter was resolved. In fact, the two of them are going to lunch together next week to improve further their ability to function well together. I’ll close with a request that those of you who believe in prayer will please remember Joe’s family and friends in the coming days. He will be sorely missed. I do hope, however, that his memory will serve to help those of us who knew and loved him to commit to a life of genuine humility and care for others. 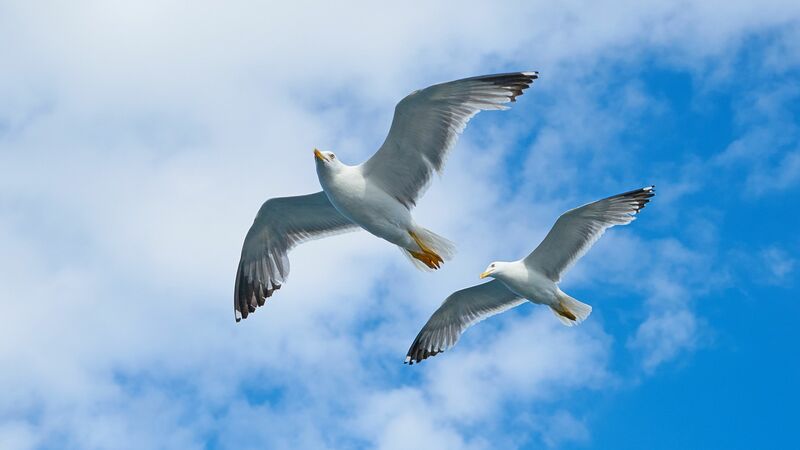 As I often say, conflict is inevitable in life, but damaged relationships are optional. Try practicing humility when someone you care about frustrates, hurts or disappoints you in some way. I’ll come back next week with a tip or two about how you might do that effectively, but I promise any efforts you spend in that regard will pay huge dividends in your overall life satisfaction. Franktown Church » John Bradshaw, host of It Is Written, will present Revelation Today at the Franktown Church beginning at 7 p.m., February 15. Find biblical answers to life's most perplexing questions each night, including "Can God be Trusted?," "Seeing the Signs," and "Hope for a Planet in Crisis." Everyone is welcome, admission is free, and childcare is provided for ages 2-8. The church is located at 905 CO-83, Franktown CO 80116 (near the corner of Russellville Road. Denver South Church » A gospel-centered revival series, End the Struggle: How Your Life Can Change Forever, featuring Daniel and Patsy Towar, RN, BSN, is coming to Denver South Church beginning Friday, February 15 and continuing through Saturday, February 23. A retired evangelist and pastor, Dan loves sharing good news with his audiences. Patsy will present nightly practical health nuggets. Children's programming will be provided, along with inspiring music. The church is located at 2675 S Downing Street, Dener CO 80210. Friday, February 15, 6:30 p.m., "Who You? Never Called to Rule"
Saturday, Feb. 16, 11 a.m., "Why Testing? Always a Test"
Saturday, Feb. 16, 3:00 p.m. "99 Percent Good Enough?" Sunday, Feb. 17, 6:30 p.m. "Set Your Mind"
Monday, Feb. 18, 6:30 p.m. "Victory Minute by Minute"
Wednesday, Feb. 20, 6:30 p.m. "The Upward Gaze"
Friday, Feb. 22, 6:30 p.m. "Addicted to the Wrong Movie"
Saturday, Feb. 23, 11:00 a.m. "Battle Ready"
All-New Season of Discovery Mountain Debuts This Week! » Discovery Mountain, the Voice of Prophecy's audio adventure series for kids, is back with an all-new season called "Seeds of Change." It's election time in Discovery Mountain and a familiar face (and favorite character) is back! This season highlights the Parable of the Sower from Luke, Chapter 8. For Pathfinders who are busy memorizing the book of Luke for Pathfinder Bible Experience, these episodes will be an engaging way to learn more about this beloved story—but you don't have to be a Pathfinder to enjoy it! Download free Discovery Mountain episodes from your favorite podcast platform or listen on discoverymountain.com.